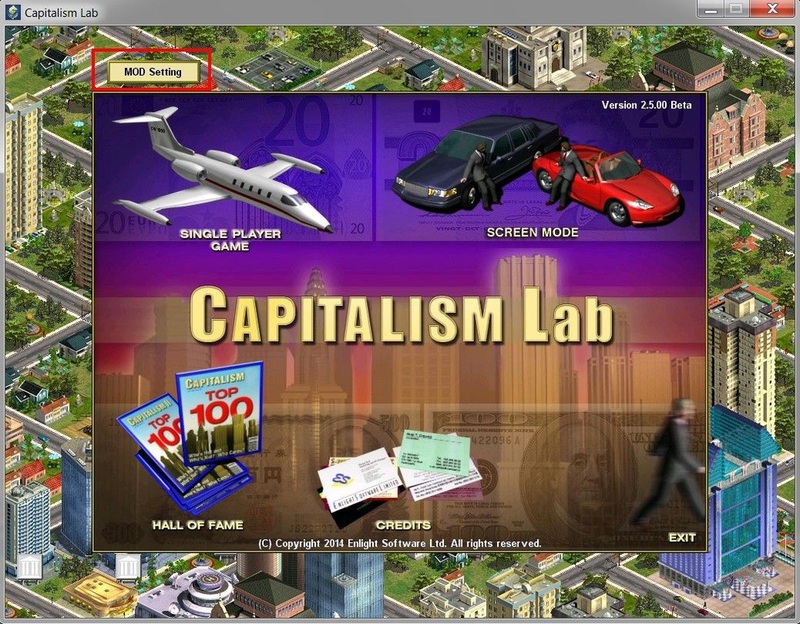 To select a MOD to use, click the [MOD Setting] button on the main menu. 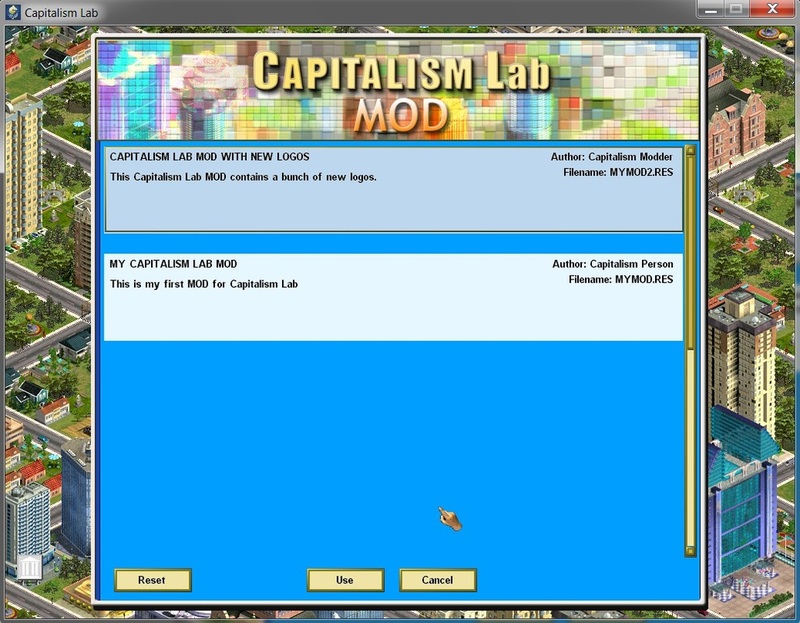 The game will then show a list of MODs currently available in your MOD sub-folder under your Capitalism Lab folder. Simply select the one you want to use from the list to bind it to the game. 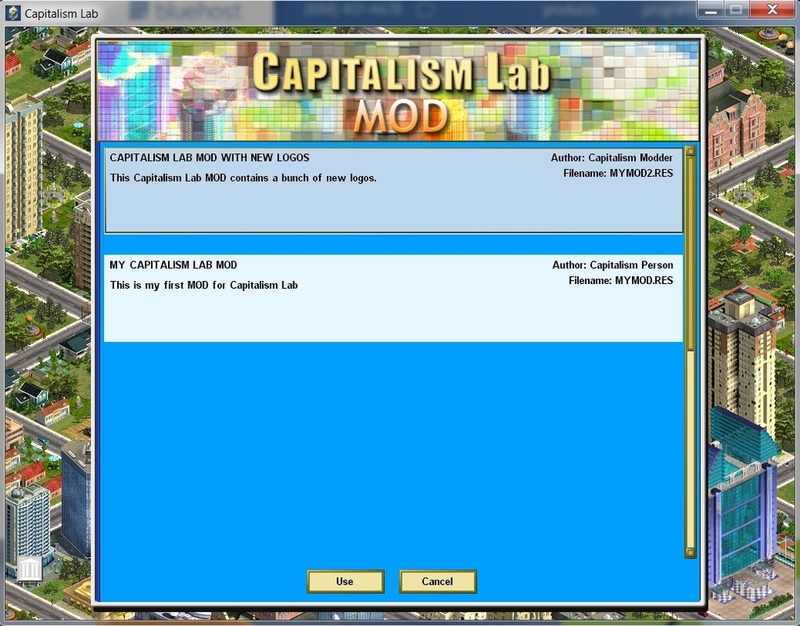 Now the MOD you selected is bound with the game. You will be able to see the MOD name on the main menu. If you want to stop using the MOD and have the game revert back to its default game resources, simply click the [Reset] button located on the bottom-left of the MOD Setting interface.